Indeed, hope here is rooted not in an assessment of the probabilities, but in something deeper: a recognition that there are other powers at work in the world who continue to work even when lesser heroes fail. In other words, hope is rooted in providence. “’Farewell, Gandalf!’ he cried. ‘Did I not say to you: if you pass the doors to Moria, beware! Alas that I spoke true! What hope have we without you?’ He turned to the Company. ‘We must do without hope,’ he said. And yet, despite his pessimism, he stands fast, holding the line and refusing even to take the Enemy’s Ring when it comes within his grasp. 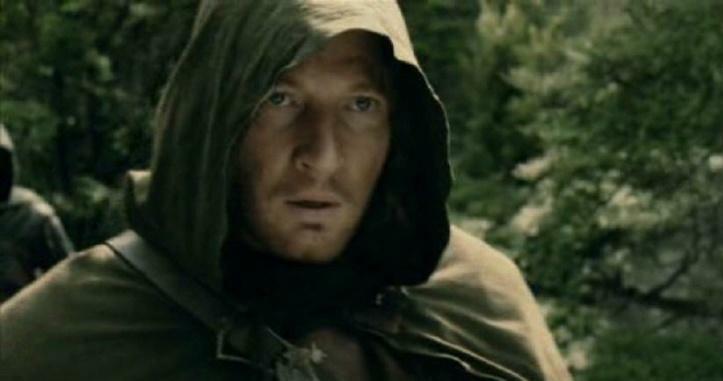 Hopeless Faramir may be; willing to surrender or compromise he is not. It seems like there is a third way, a middle path between hope and despair. It is on this path that Tolkien showcases heroic virtues of courage and faithfulness. In this way, characters recognize the job they have been called to do, and endeavor to complete it, regardless of the personal cost. 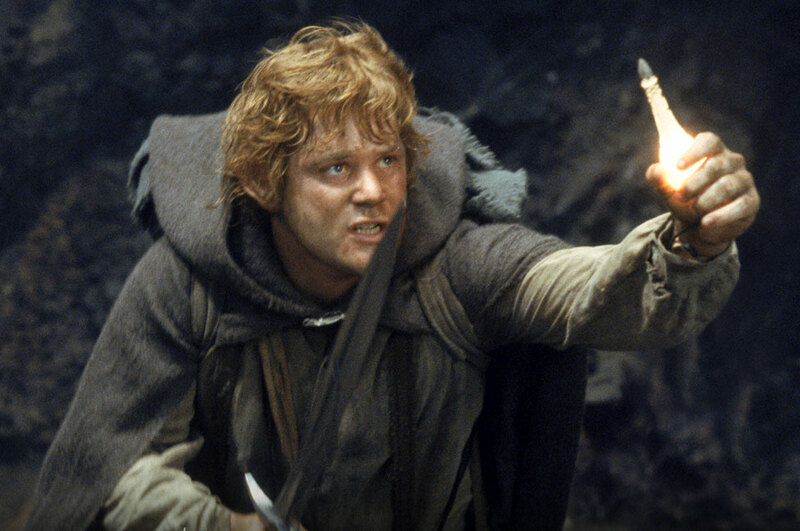 Whereas Frodo gives up all hope of returning, his lone thought is to do the job entrusted to him. “So that was the job I felt I had to do when I started,” thought Sam: “to help Mr. Frodo to the last step and then die with him? Well, if that is the job then I must do it…. I can’t think somehow that Gandalf would have sent Mr. Frodo on this errand, if there hadn’t a’ been any hope of his ever coming back at all. Things all went wrong when he went down in Moria. I wish he hadn’t. He would have done something.” But even as hope died in Sam, or seemed to die, it turned to a new strength. Sam’s plain hobbit-face grew stern, almost grim, as the will hardened in him, and he felt though all his limbs a thrill, as if he was turning into some creature of stone and steel that neither despair nor endless barren miles could subdue. When hope seems to disappear, a deeper hope takes over, which is a hope that compels action. This highlights again the difference between amdir and estel. Amdir may not remain for the company once Gandalf falls in Moria. Estel, however, does abide embodied in the one who bears Estel as a name: Aragorn. This entry was posted in Literature, Tolkien and tagged despair, frodo, gandalf, hope, providence, samwise, tolkien by Justin. Bookmark the permalink.